Thank you so much to Layla at The Lettered Cottage and Rhoda at Southern Hospitality for featuring my nursery makeover on their blogs! I am beyond flattered and excited that so many people love the space like I do! A. We used 4×8 sheets of beadboard for the ceiling. A. I sketched the tree onto the wall with pencil, then painted it with acrylic craft paint. The other wording actually isn’t vinyl wall lettering. I printed out the wording onto paper, then traced it onto the wall with carbon paper and painted it using the same type of acrylic craft paint. 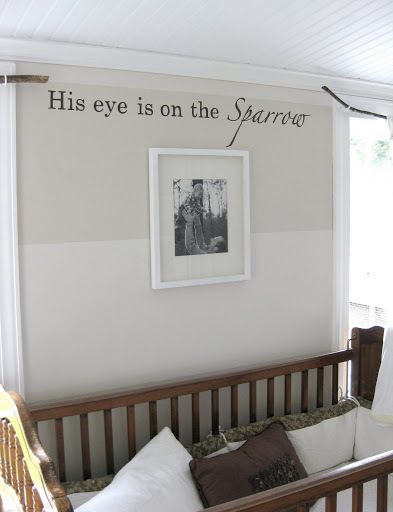 This is my favorite method for putting wording on the wall, because it’s fairly easy and doesn’t cost a cent! A. The painting on the bench is something I just sketched out and painted myself. 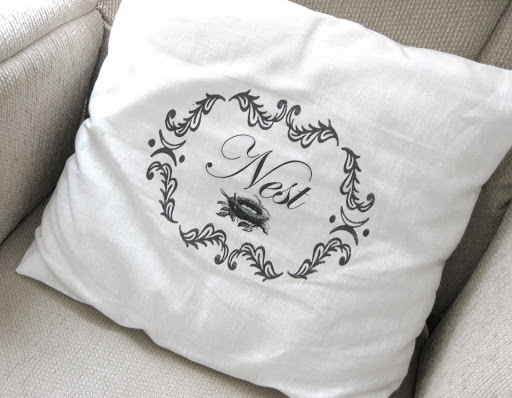 I did get the idea for the branch and bird from an Uppercase Living catalog though! A. Yes, I would love to come paint it for you! Seriously, if you’re local and need help with some painting, just email me at maweaver1@gmail.com. A. The tree branches are literally from the tree in our front yard! I just picked out ones that were as straight as possible and cut them down to size. I probably should have sprayed them with a sealer because they tend to shed bark and dirt when I have to move the curtains, but so far I’ve been too lazy! 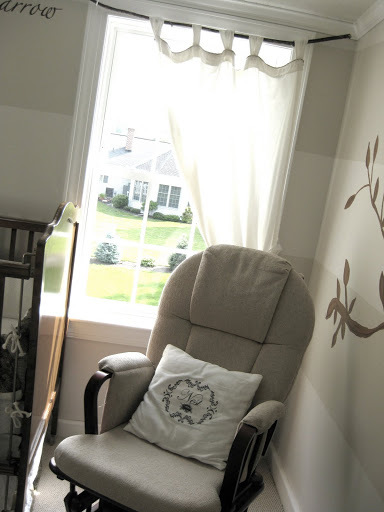 Thanks again everyone for your sweet comments about the nursery! I’m blown away by the responses I’ve gotten about the tiny little room! You guys are the best and such an encouragement! I hope you all have a wonderful holiday weekend! Ours will be spent at bbq’s with friends, strawberry picking, yard sales, and picnics with family! Sounds like a fun time to me!